Located 10 minutes from Navi Mumbai's shopping and business areas of Vashi, Mahape and Belapur, the 196 room ibis Navi Mumbai offers LCD TV, air conditioning, free WiFi, and workspaces for the modern leisure and business traveller. The hotel is accessibleby road and rail to Mumbai, Thane and Pune. Enjoy all day dining at SPICE IT or unwind at the HUB with your favourite cocktails. Contemporary meeting and conference rooms with natural light are available with a range of seating options. Room Service, Complimentary Newspapers in Lobby, Secretarial Services, Concierge, Spa/Massage/Wellness, Backup Generator, Express Check-In/Check-Out, Parking, Bar, Banquet Facilities. Moisturiser, Bathtub Only, DVD Player, Reading Lamps, Climate Control, Child Care, Massage-Available in Room, Toothbrush/Razor on Request, Attached Bathroom, Complimentary Toiletries. 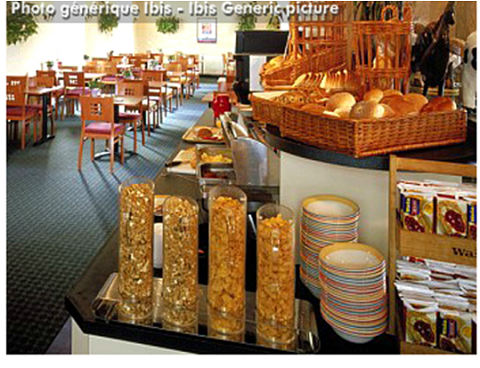 User reviews for "Ibis Hotel Navi Mumbai"